Advent Challenge! - Time for a nice cup of tea? So, i'm doing my own Advent challenge! Getting Active and Get Writing! The last time i did this was in 2014 and it was pretty successful in helping me get my sh1t together before Christmas! I miss actively blogging, but my backlog of blogs, is stopping me blogging actual stuff. Here's me having done my first run tonight, the first one in months and months! 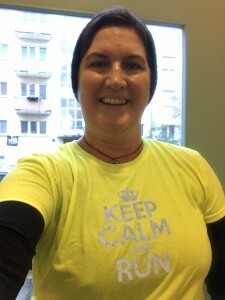 "Get Calm and Run" indeed - when I'm under pressure, when everything else is outside my control, I have to remind myself that I can control whether I move myself and go out for a walk / run! - and here's the updated list, taken from my last challenge, which didn't quite get going in November!